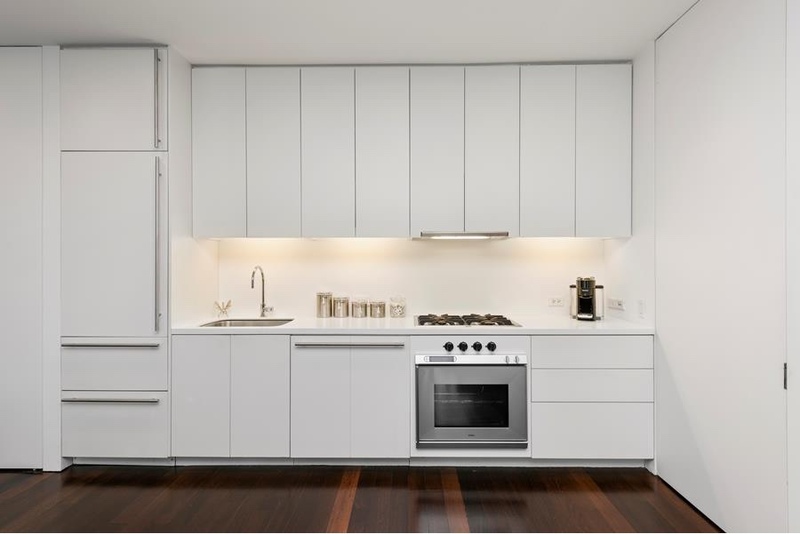 This Impeccably Designed, Oversized, Corner 1 Bedroom Apartment, is located in the highly acclaimed 165 Charles Street Boutique Condominium designed by Richard Meier & Partners Architects. This stunning 1,100 square foot grand scale Residence with 11’ Ceilings enjoys Northern and Western exposures and is awash with light from the floor to ceiling triple pane windows. 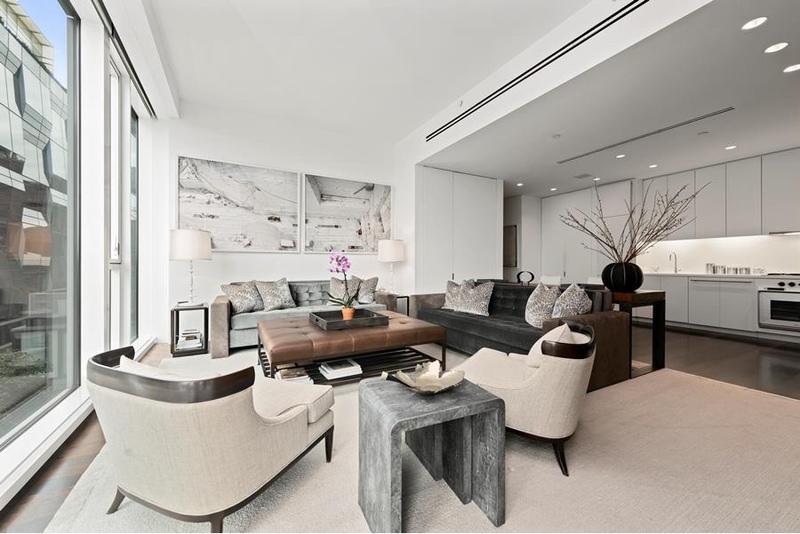 The Mark Zeff custom designed Cerused Oak wall unit and entertainment center define the expansive space. 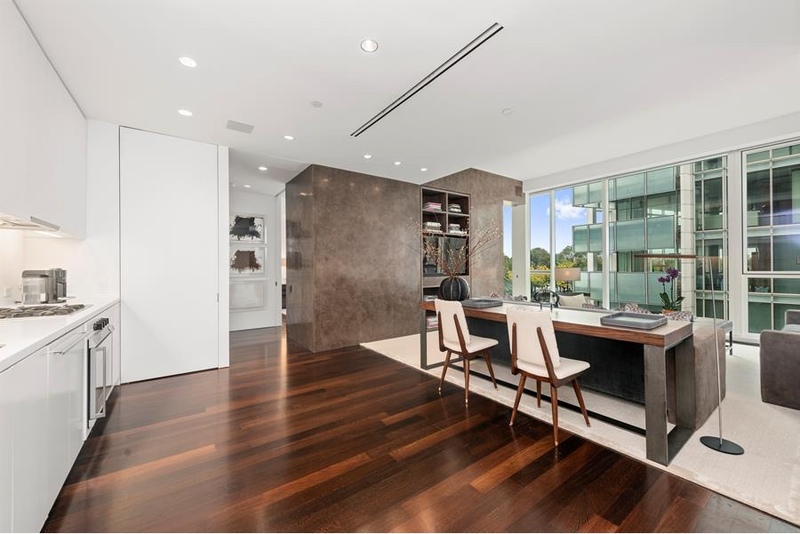 The clean white lines of the Open Kitchen with Gaggenau and Bosch appliances, Subzero Refrigerator and Dornbracht fixtures in addition to the Wenge hardwood floors allow for gracious flow to the Living Room. 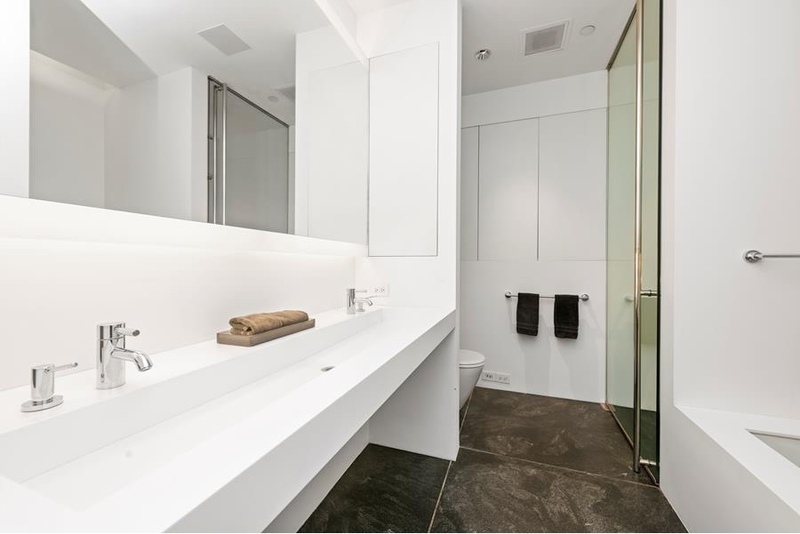 The Architecturally designed Large Bathroom features granite stone floors, Corian double sink, frameless glass shower and luxurious Zuma soaking tub. The Master Bedroom Suite is the perfect spot from which to enjoy river views and sunsets. 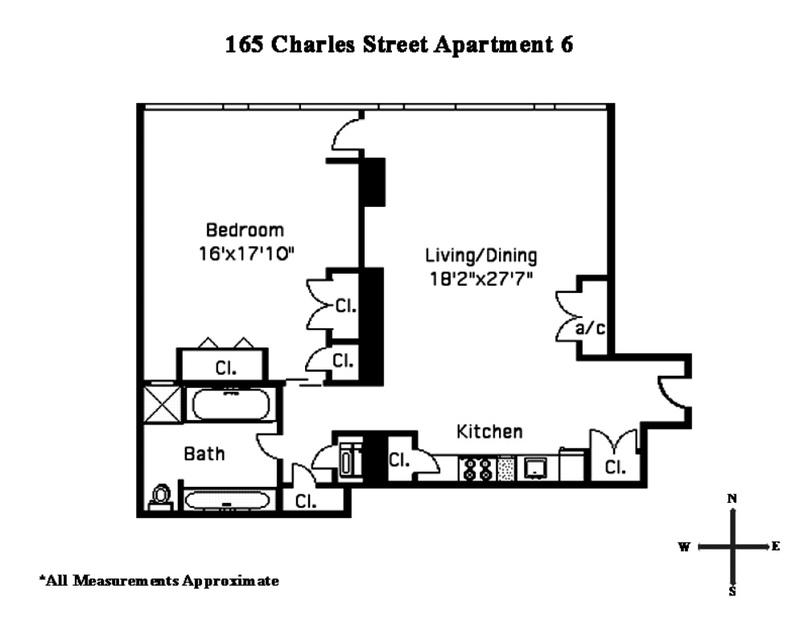 Lutron controlled window shades, a built-in sound system, abundant closet space, Bosch washer/dryer, and a large deeded Storage Unit complete this sophisticated, Triple Mint Apartment. The exceptional Amenities include a 24-hour Doorman/Concierge, Live-in Resident Manager, 55’ Indoor Pool, Fitness Center with Technogym equipment and dedicated Yoga/Pilates room, a 35-seat Private Screening Room, Garden, Terrace and Residential Lounge with Kitchen. 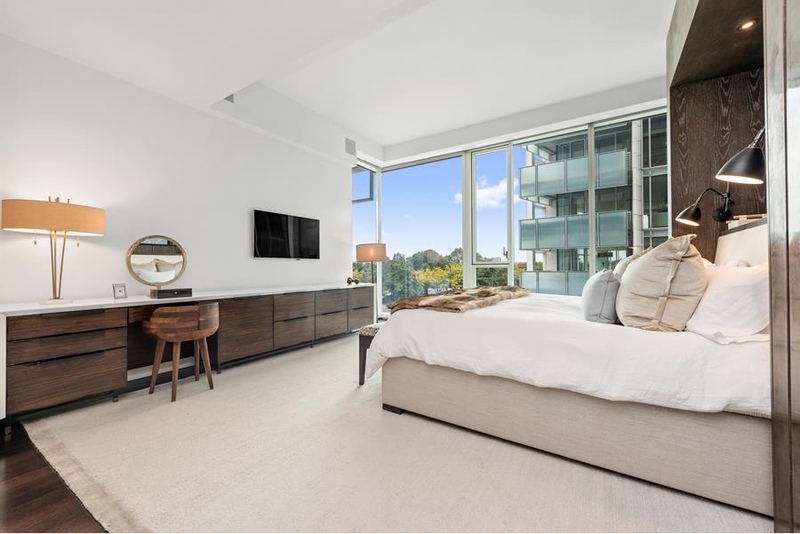 Its close proximity to Hudson River Park, The Highline, Meatpacking District and The Whitney Museum make this West Village Boutique Condominium a perfect place to call home.